Christine’s course work for her diploma in accountancy that her husband threw in the fire. Extract of no Fourth River: “I’m sick of your stupid classes,” he announced. 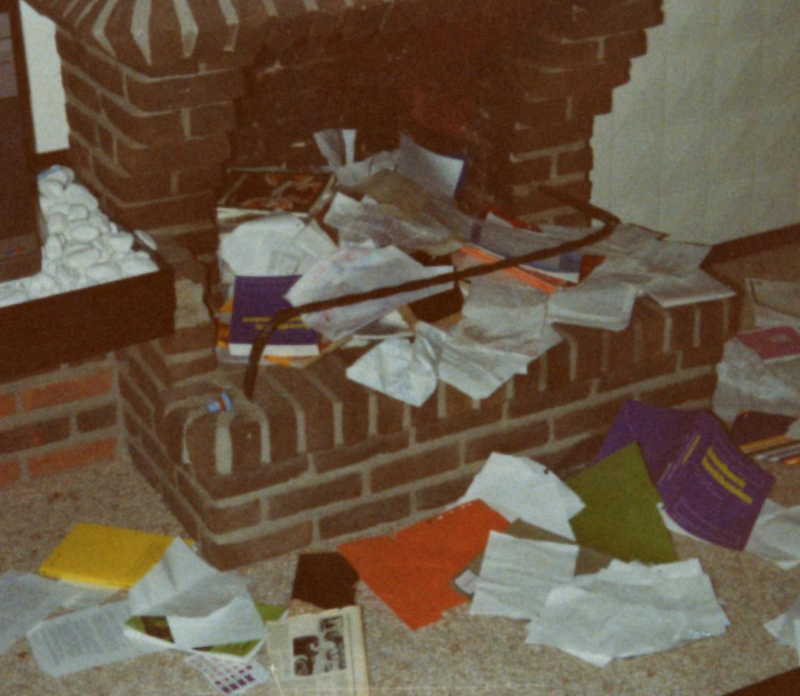 “I’ll decide what you turn in, and what you’ll turn in now is nothing.” I felt helpless and hopeless as he threw all of my course work into the open fire. All my hard work was mere ashes in seconds.” - 1983. Christine’s neck, where you can see the bruises her abusive husband left after one of his violent attacks - 1983.